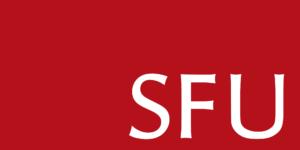 SFU is among RECODE’s round one funding recipients. Read on below to learn more about social innovation and social entrepreneurship activities and programs happening on the SFU campus. Read SFU’s Letter of Intent for RECODE’s round one funding. RADIUS (RADical Ideas, Useful to Society) is a social innovation lab and venture incubator based at SFU’s Beedie School of Business. A “place for radical doers”, RADIUS develops the emerging leaders and solutions needed for a sustainable, just and healthy economy. RADIUS Edu is creating more and better Radical Doers—the problem solvers society needs to drive new ideas for impact—by supporting impact entrepreneurship and innovation courses and curriculum at SFU, designing and delivering new learning experiences for students and the broader community, and supporting research and new ideas for fostering a powerful community of emerging changemakers. Fellowships in Radical Doing – Once a year, the RADIUS Fellows program opens applications to bring together a cohort of 20 emerging Radical Doers from SFU and the broader community—the next generation of untamed social entrepreneurs and innovators that demonstrate remarkable accomplishment and a relentless dedication to creating positive, sustainable impact. Participants receive dedicated mentors, personal coaching, weekly learning sessions, dialogues with senior leaders, and access to a broad network of events, leaders and influencers. The Social Innovation Activators program is an opportunity for SFU’s emerging changemakers to help understand, shape, and activate a stronger social innovation community that engages all faculties on all SFU campuses. Students are invited to apply for $1,000 in professional development funding in social innovation and $2,000 to launch a new initiative of their choosing to activate the social innovation community on campus. SFU Student Social Innovation Seed Funding – RADIUS SFU and Embark have partnered for a second year to offer Student Social Innovation Seed Funding to current SFU undergraduate and graduate students in support of radical change endeavours with social and environmental impact at their core. Students may apply for up to $1,000 in funding per project. ReSchool 2015: Transform the Future of Learning – In May 2015, RADIUS collaborated with Ashoka Canada and Groundswell to host the first ReSchool, a hands-on conference+design sprint for education innovators of all stripes. Download the ReSchool 2015 Final Report and check out the ReSchool 2015: Highlight Reel. Young Innovators Crawl – Co-hosted with SFU Public Square, Vancouver’s first Young Innovators Crawl (held October 2014) was a chance to meet young creatives from the worlds of design, technology, sustainability, food, arts and culture, and social innovation. RADIUS Lab works on systems, collaborating with community to understand tough problems and generate impactful interventions. The current focus is the Local Economic Development Lab (LED) Lab, a place based initiative, which will generate, implement, and scale innovative community-designed and community-driven ideas for a vibrant and inclusive local economy in Vancouver’s inner city. Delivered jointly by Ecotrust Canada and RADIUS SFU, the Lab is designed to help community organizations, local governments, and civil society work together to drive forward implementation of the community economic development policies set forth in the Downtown Eastside Local Area Plan. The Lab includes 30 full time graduate student internships over the next three years, with each placement supporting the development and testing of innovative new economic models in Vancouver’s inner city. The RBC First Peoples Enterprise Accelerator Program is a catalyst and resource for sustainable economic growth and diversification in Aboriginal communities. In conjunction with local Aboriginal partners, the program will support the development of Aboriginal entrepreneurs and advance early stage businesses and social ventures that contribute to the development of sustainable, healthy economies. Vancouver Incentive Challenge — RADIUS and the City of Vancouver are working together to develop and launch the first Vancouver Incentive Challenge, which will be focused geographically on the False Creek Flats area and thematically on solving a meaningful societal or environmental problem impacting Vancouverites. The Slingshot Accelerator is an intensive 6 month program for high impact, growth stage companies. An annual cohort begins each Fall. RADIUS has worked closely with key partners, Vancity and the BDC, to develop the Slingshot program. The Trampoline Accelerator is an 8 session validation stage program for impact focused entrepreneurs and ventures looking for support to test and refine their business model, to better position themselves for success. Some would call it a pre-accelerator. Social Venture Failure Wake — an event series, building on the theme of a lively Irish Wake to hear the raw stories of brave entrepreneurs whose ideas didn’t make it. Impacto Quito Accelerator (Ecuador) – RADIUS is partnering with Impacto Quito, SFU International Engagement, and Global Agents for Change to deliver this incubation program in Quito, Ecuador. SFU Public Square hosts an annual Community Summit, which consists of a week-long series of events, conferences, and workshops on a theme of public and academic interest. The 2015 Community Summit, held October 30 to November 7, focused on city building. As part of the Summit, SFU—in partnership with RECODE—hosted Campus to City, a day-long, national conversation on the role of colleges and universities in city building. Designed by students from across Canada, this participatory, moving conference brought together students, faculty and staff, city building leaders and community partners to reimagine how colleges and universities can be a driving force in creating vibrant, livable, and sustainable cities. Read We the City, a poem by Andrew Petter, President and Vice-Chancellor’s of SFU, read on November 4, 2015 at We The City: An Evening at the Centre. Visit www.radiussfu.com and www.sfu.ca/publicsquare to learn more about SFU’s on campus activities and programs. The Vancouver Sun, November 19, 2015. SFU News, November 3, 2015.
Business in Vancouver, October 1, 2015. Vancouver Observer, September 9, 2015. The Globe and Mail, May 29, 2015. The Vancouver Sun, May 1, 2015.